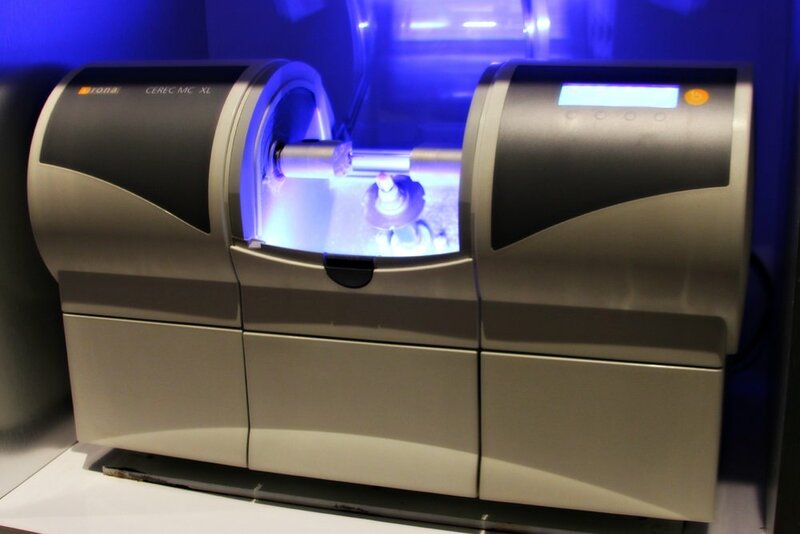 Abadin Dental is one of the leading providers in accelerated orthodontics using Propel and V-Pro 5 to obtain a shorter and more predictable out come. Coral Gables/Miami's best dentist, Dr. Abadin, offers cosmetic dentistry options that perfect your smile & restore your confidence. Dental implants bring the ultimate solution for missing teeth. Dr. Abadin in Coral Gables/Miami brings his expertise to direct your implant case at every stage. Dental health moves through many stages. 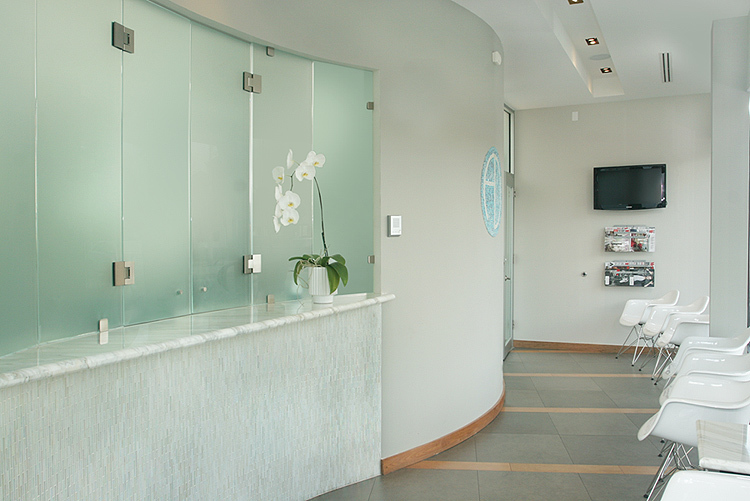 Dr. Abadin in Coral Gables/Miami offers a range of preventive, cosmetic, & functional care for every age. At Abadin Dental we specialize in providing high-quality family and cosmetic dentistry to the residents of Coconut Grove, Coral Gables, Miami and South Miami. We offer a warm, caring patient-centered environment where we strive to deliver exceptional, five-star dental care. You deserve excellence with every visit. Abadin Dental is committed to providing you quality dental care, starting with your first visit. Contact us today for an appointment. We look forward to the start of a long-lasting relationship. WE HAVE OVER 1,000 HAPPY INVISALIGN PATIENTS, WHAT ARE YOU WAITING FOR?! Need time to pay? 24 months, 0% interest. We proudly offer interest-free payment plans for all Invisalign® cases. Let us help you break down the cost barrier to healthier, straighter teeth. Visit us today to find out how we can help you achieve quick results without breaking the bank—including 24 month terms with no interest! Tour Our State-of-the art facility below! Dr. Abadin and his team are proud to provide treatment options at the forefront of convenient and modern dental care, using state of the art technology. Whether you are seeking preventative treatment, need solutions for cosmetic dental problems, or need restorative treatments, we are here to help you maintain a beautiful smile for life. Our cosmetic and restorative treatments include Invisalign, veneers, implants, one-visit crowns and gum rejuvenation. See a selection of our great patient reviews below, then check out our Facebook, Google, and Yelp review pages. I have known Dr Abadin for the past 17 years and I have always been satisfied by the upmost quality of his professional experience and services. I also want to recognize his staff that also have been working there for as long as I have been using his services. That's mean a lot to me. I leave in Broward County and continue to visit Abadin Dental on a regular basis. I fully trust him and his judgment for my dental care. I will continue to use his services as long as he is in practice. Some of my colleagues who were transferred overseas came back to see him for their dental check up! The best kept secret in Coral Gables! I highly recommend Abadin Dental. Amazing Experience!! Where do I even begin. I walked into the office which is very clean and modern. The staff at the front are incredibly friendly and the waiting room is bright with natural light shining in. They are very organized and you usually don't wait very long to go in. Once inside, the hygienist greets you and take you to the room where the cleaning will take place which is a very nice room with modern equipment and even a TV. The hygienists are all incredibly friendly and always converse with you to make you feel comfortable. They will even offer a numbing agent for your gums if you usually feel pain during cleanings. They give you some headphones and will put whatever you would like to watch on TV. You are usually so relaxed that even when they finish you don't want to get off the chair. Dr. Abadin is an amazing dentist that is extremely attentive and skilled. He will always take a look at your teeth after a cleaning to make sure you are good to go. Always takes x-rays to make sure he covers all bases. He is also extremely friendly and an easy guy to get along with. I would ABSOLUTELY recommend Dr. Abadin to anyone looking for a new dentist. Every time I go in it's an amazing experience to the point that I almost look forward to going and getting a cleaning (something I would have not been caught dead saying before. My family and I have been going to Dr. Abadin for 14 years now and we could not be more pleased. The staff is extremely polite and pleasant.The office is very organized and appointments are almost always on time, I have never had to wait more than 5 minutes max, which is great considering I am a very impatient person. 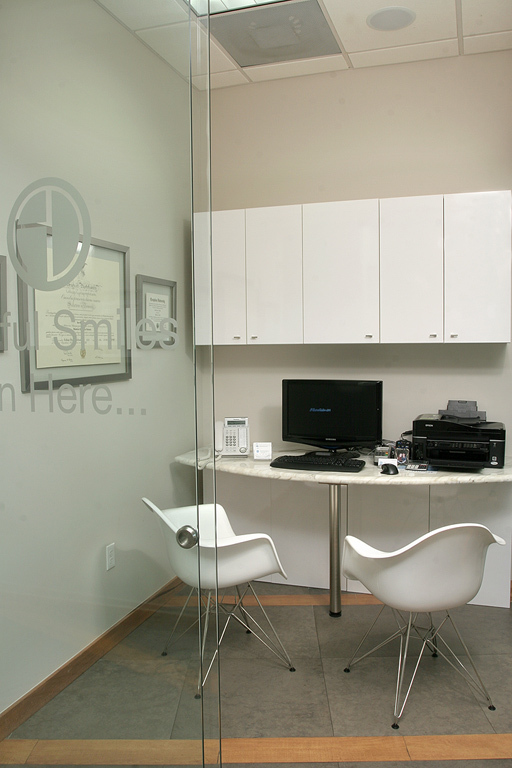 The office is PRISTINE, immensely important for a dental office and for me!!! Dr.Abadin's practice has the latest state-of-the-art equipment. The level of care is exceptional. Oh, and one more thing, he has a heart of Gold. He closes his office one day a month or so to treat underserved and special needs children that could otherwise not afford to get dental care. When I heard about that 15 years ago from a friend, I knew that a person of that character is the person I want treating me and my family. Can't recommend him enough. The personalized service and professional care are as good as you will find. The modern contemporary design, and the cool touches like bottled water in reception make going here a great experience. I have been getting all my dental work done here for the last few years, including Invisalign, and I can’t speak highly enough about Dr Abadin and his amazing staff. Highly recommended! The customer service is better than any dental office I've been to. Right when you walk through the door you are attended to and are sitting on a chair within 5 minutes. From the dental assistants to the secretaries, Dr. Abadin's team cares for you and truly makes an effort to make your experience special. I have gotten yearly cleanings, a root canal and my teeth whitened and every experience is better than the next. Keep up the great work team! See you soon. Best dentist ever! I have had a lot of dental work and I am very sensitive to dental pain. Dr. Abadin is the best at administering Novocain- I never feel it. He works efficiently and I finally have a perfect smile. His work with implants and caps is phenomenal and its in the least amount of visits. I am New York City transplant and used to travel to Manhattan for my cleanings until I was introduced to Dr. Abadin. He is exceptional and has a lovely team of wonderful women who are kind, patient and understanding. The treatment is state of the art with its modern, professional equipment. It definitely makes going to the dentist every 6 months enjoyable, which most people find difficult to do! At Abadin Dental, Dr. Abadin and his staff do a great job creating a family environment at the dentist every time and I would highly recommend this dentist! Dr. Abadin is truly amazing and personable. The office staff and hygienists are friendly and very professional. You feel at home when your in his office. He not only does my checkups, but my bonding and my Invisiline which is impeccable. I couldn't ask for a better dentist and artist. I have known Dr Abadin for the past 17 years and I have always been satisfied by the upmost quality of his professional experience and services. I also want to recognize his staff that also have been working there for as long as I have been using his services. That's mean a lot to me. Ficou PERFEITO! Tudo rapido, facil e sem dor. A clinica possui as mais avançadas tecnologias, como impressoras 3D, anestesias com micro canulas, plasma rico em fibrinas para melhorar cicatrizaçao, etc, que garatem um resultado de altissima qualidade. O ambiente e moderno, clean e as pessoas sao simplesmente super gentis. Sem exagero, é um prazer ir ao Dr Abadin! I want to thank Doctor José Abadin for the perfect job he did with the molar in the left side of my mouth. I thought it was going to hurt but, it didn't; he has angel hands. I am very happy to be his new patient. I recommend Dr Abadín, because he is an excellent dentist.